Oh, my goodness, I had such fun tonight! 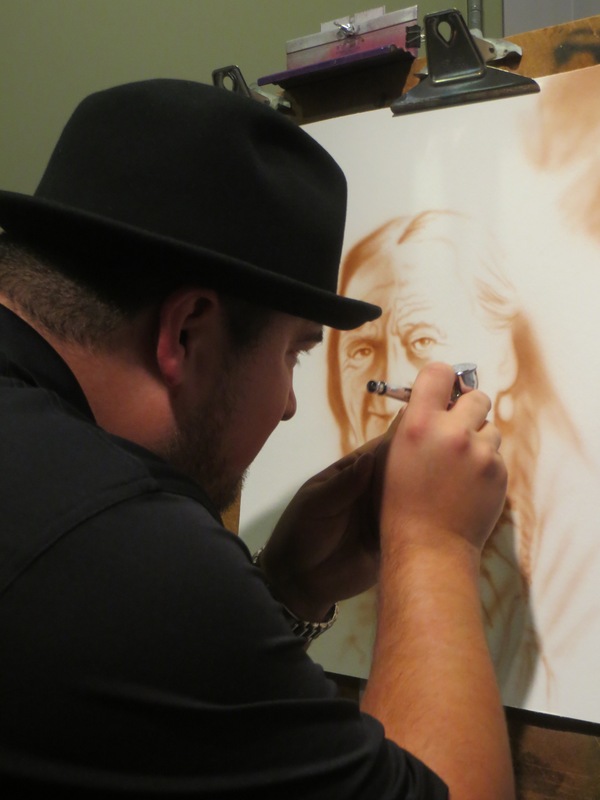 Tonight was Washakie Museum’s 4th Annual Mammoth Quick Draw Event. I’ve wanted to go before but it hadn’t worked out until this year. Thirty one artists either created an entire artwork (quick draw) or finished a started one (quick finish). 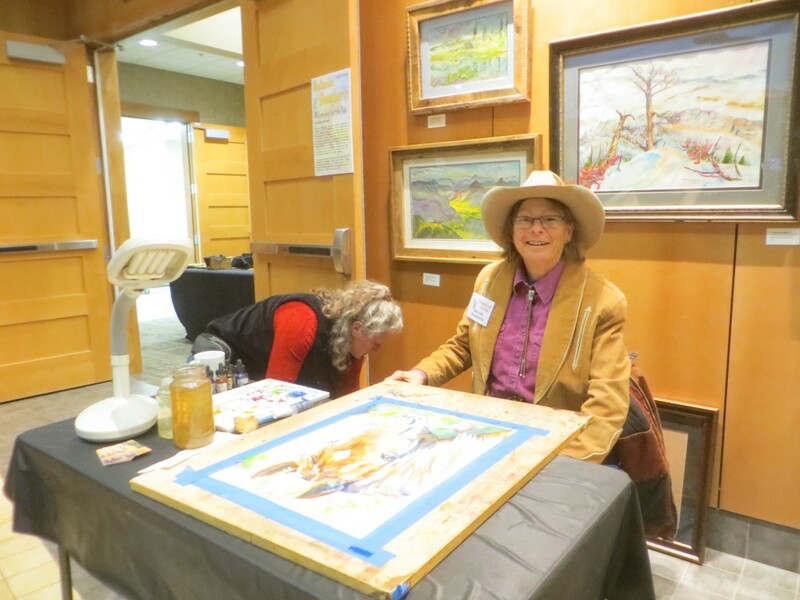 Although I had to go by myself, there were a few Ten Sleep people there, and a few Worland business owners I knew… but that’s ok when you want to just stand there and watch people create great art! I could be jealous of the artists… but I’m more inspired to try to create something I like! I’ve just got to share though! 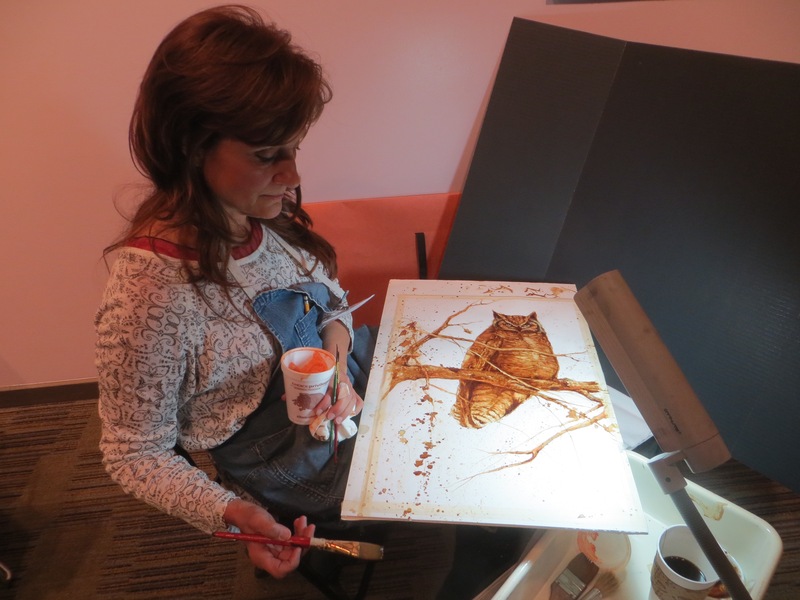 Sonia Sieg is painting using coffee and household spices… seriously! Paige Paisley with her acrylic on RICE PAPER! I loved this one! It reminds me of Blue Willow china. But THIS ONE!!!!! OMAGOSH. Airbrush acrylic by Robert Martinez. He had some other Indian portraits on faux treaty papers… I loved them. I couldn’t afford them, but I loved them. Now WAYWAYWAY back in the day, I airbrushed geological maps alongside my father at a little oil company called Rainbow Resources. Later, I airbrushed notecards (Greet Cards, get it????) and sold them at craft fairs. Never was I brave enough to try things like this, NOT EVEN CLOSE. But that makes me love and appreciate his talent even more… and Indian portraits???? Be still my heart. It did give me an idea that is now lurking in the back of my brain, though! 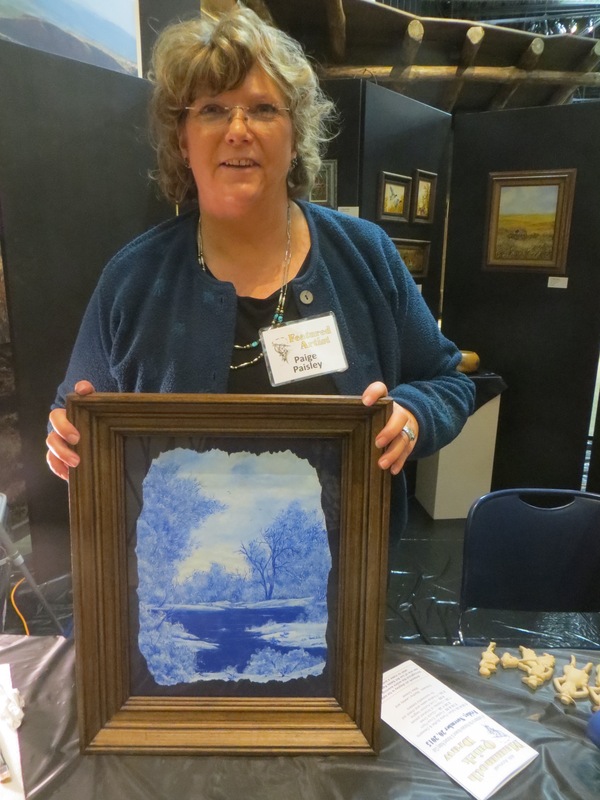 All the artists were amazing… Food, wine, a few friends… and dry roads all the way home!!! Doesn’t get much better than that! OMGosh! Great stuff! I cannot believe that lady, Sonia Sieg, painting with coffee and spices???? As you said, “Seriously”? That is amazing!! Truly enjoyed this wonderful post – thank you! Great picture of Ms Daughtery and found other entries intriguing and inspiring. Betcha you could/should fit in well with your artistic talent! Oh how exciting AND inspiring. So many different applications and so much talent. Considering my local community college does art courses, and a friend is taking a class, I need to get out of my safety zone and check things out. Such an inspirational blog. Thanks Carol. Glad you had a great evening. Oh, Carol, this just have been wonderful!! It’s a great idea, too. So many different techniques for you to enjoy and glean new ideas from. As I scrolled down the pictures I was fascinated. The one that looks like “blue willow” is stunning and noteworthy. And I really love the last one of the Indian – his eyes are warm and he looks filled with wisdom and love. Thank you for sharing them.